The Enterprise Rent-A-Car business in Vietnam will operate from Ho Chi Minh City. Enterprise Holdings today announced that its Enterprise Rent-A-Car brand is now available for the first time in Vietnam. This announcement follows the appointment of MP Logistics as Enterprise’s franchise partner last year. The Enterprise Rent-A-Car business in Vietnam will operate from Ho Chi Minh City. The strategy for the first year will be to grow a base of corporate customers by focusing on MP Logistics’ current clients and the employees of multinational companies with operations in Vietnam. The initial emphasis will be on long-term rentals with a chauffeur. 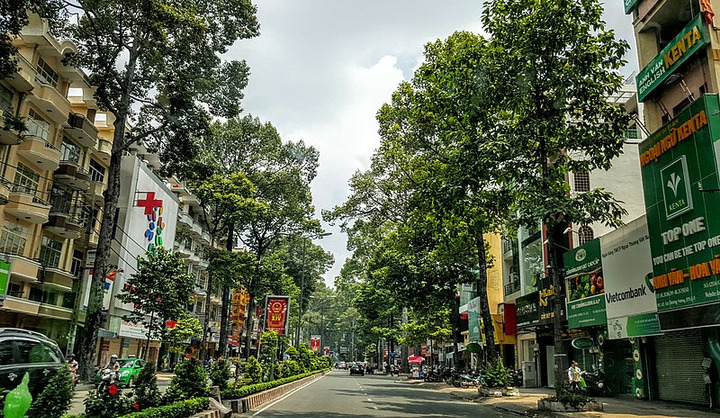 MP Logistics estimates that international customers who live and work in Ho Chi Minh City will typically rent a vehicle from one to five years. The vehicles will be driven by local drivers, which may be necessary for business customers who don’t have experience driving on Vietnamese roads. As the business grows, coupled with the integration of reservation technology, Enterprise Holdings will look to introduce its other world-leading car rental brands, National Car Rental and Alamo Rent A Car. It will also expand its services to include short-term, chauffeur-driven options, self-drive rentals and leisure hire at popular tourist destinations, such as Da Nang. Founded in 1995 by Minh Phuong Dang, MP Logistics is a family-owned company that specializes in air and ocean freight, warehousing, distribution, project cargo and inland transportation. The Ho Chi Minh City-headquartered company has experienced rapid and consistent growth and now has more than 1,200 employees and operations in the cities of Da Nang, Hai Phong and the capital, Hanoi. With a reputation for delivering exceptional customer service throughout the region, the company’s current fleet provides long-term rentals for international business executives who work and live in Vietnam. Through partnerships with strong regional businesses, such as MP Logistics, Enterprise Holdings is expanding rapidly across Asia and the Pacific. Enterprise recently opened operations on Cebu in the Philippines with branches at the international airport and at two home-city locations. The company has also grown rapidly in Australia, doubling its airport market share since February 2016 while developing truck rental and home-city business. Enterprise’s presence in New Zealand is also growing significantly, and the company now has a presence at the top-four airports in the country.